LOUISVILLE, Kentucky – It’s tough to beat depth. 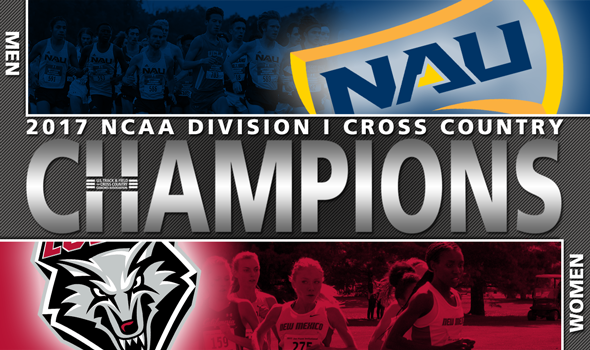 Thirty-one men’s teams and thirty-one women’s teams learned that the hard way on Saturday at the NCAA Division I Cross Country Championships as the Northern Arizona men and New Mexico women captured team titles at E.P. “Tom” Sawyer Park. The top-ranked Lumberjacks put three runners in the top-10 as they routed the field in the men’s race by 53 points. The second-ranked Lady Lobos had four in the top-15 and held off a scrappy effort by third-ranked San Francisco. This was NAU’s second team title in a row as it joins Colorado as the only programs to go back to back this decade, while New Mexico reeled off its second in the past three years. The Lady Lobos last won in 2015 when the meet was held at the same location. The Lumberjacks had five All-Americans as their entire scoring lineup finished in the top-40. Matthew Baxter and Tyler Day led the charge for NAU as they finished second and third overall behind individual champion Justyn Knight. New Mexico got the individual win from Ednah Kurgat, who finished the 2017 season undefeated. Kurgat was joined in the top-15 by three teammates: Weini Kelati (seventh), Charlotte Prouse (12th) and Alice Wright (14th).